Just a little advice for the start of a new semester. College — a new place with new people and a new you! You're ready to get a fresh start on a new campus; before you start, however, there are some social rules that you should know. These are suggestions that you are not required to follow, but they are highly recommended. Here are ten things you probably should not do from now on. 1. Raise your hand to use the restroom. You're an adult now. You don't have to ask to use the restroom, go get a snack from the vending machine real quick, or go outside to take an important phone call. Just go and take care of whatever you feel is important. 2. Watch your favorite TV show... while sitting in the front row. Going to lecture might be boring sometimes (and/or tiring, depending on when the class is). You would rather sign the attendance sheet, take out your laptop, and continue binge watching your favorite show. This is especially tempting when you have class in a big lecture hall with 200+ students; however, if you are in one of the front rows, other people can probably see your laptop screen (especially if you have a fairly large laptop). News flash: there are other people in the class trying to actually pay attention to what the professor is saying. It also defeats the purpose of going to lecture, so it's not doing you a favor either. So if you have to go to class and absolutely need to watch that last episode of "Game of Thrones", do your classmates a favor and sit in the back of the class. 3. Sit down on the bus and use the seat next to you for your backpack. If you go to a big school like I do, we have a bus system to get from one part of the university to another. Do not be that jerk on a crowded bus who thinks their bag/backpack/whatever other stuff you have with you deserves a seat for itself. 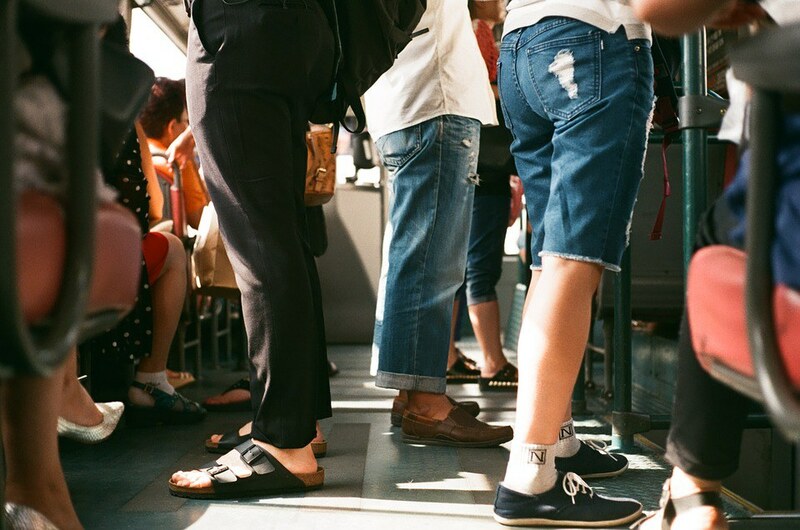 If you are on a crowded bus, place your bag on your lap, on the floor between your legs, or under your seat. You will get glares from people if you make a special seat for your [insert expensive bag here]. 4. Avoid giving up your seat because you're already comfortable. If you are able to stand on public transportation, let someone else who might have a heavier load take your seat. Included in this category would be elderly people, pregnant women, injured people, disabled people, someone holding multiple bags of groceries, and other people in situations. It's just the kind thing to do. 5. Leave your drink unattended. There are horrible, scary people in this world. You might think that a lot cannot possibly happen in the two minutes you'll take in the bathroom or to find your friend in that crowded room, but it can. 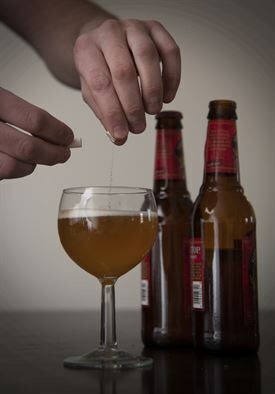 Someone could slip drugs (or something worse) in your drink while you're away. So I'm going to repeat it for those in the back of the room: NEVER LEAVE YOUR WATER/SODA/BEER/UMBRELLA COCKTAIL/ANY DRINK UNATTENDED. 6. Go into the shower without flip-flops. Don't have your share of athlete’s foot. 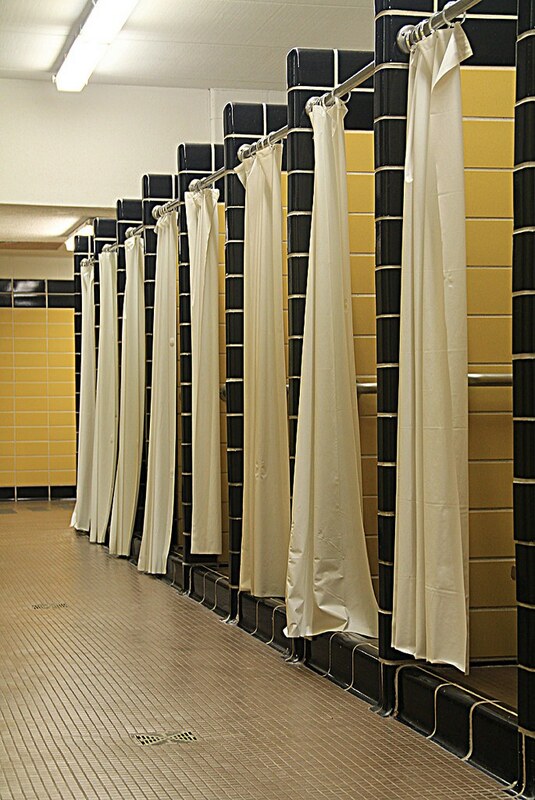 Get a pair of shower shoes for those communal showers typical of first-year residence halls; shower floors can and will be gross when you share them with around 30 other people on your floor. 7. Register for an 8 A.M. class. Unless it is a class needed for graduation and you have no other way around it, this is absolutely a no. You may think that you started high school at 7:30 A.M. in at least a semi-functioning status, so you’ll be used to this. But you’ll quickly learn this is no longer the case and regret your decision immediately. Just don’t do it. 8. Avoid asking for help. College is a tough transition for first-year students. It’s normal to not earn marks as high as you did in high school. However, don’t let it become a habit because your grades (and your GPA) do matter to employers. There are often resources like writing centers, tutoring, and study groups available for free through the university. This isn't limited to academics, as there are many resources through your college within your reach, such as career services, counseling centers, and health centers. Don't be afraid to ask for help when you need it! This goes along with #9. Professors hold office hours for a reason: so you can come in with your questions and seek help straight from the source. Going to office hours with prepared questions lets the professor know that you are serious about your performance in the class. Another benefit from going to office hours on a regular basis would be a higher possibility of them writing a letter of recommendation for you because they get to know you after a semester of struggle. If you have another class during your professor’s office hours, ask the professor if you can meet them at another time that works for both of you. 10. Go home every weekend (unless absolutely necessary). I know homesickness can get to you when first starting college. The first semester can be tough, and you’ll be tempted to make a trip home. Unless you absolutely have to go back to your hometown, try not to. When you are home, you are missing out on chances to meet new people at school and do new things like attending football games, having Sunday brunch at the dining hall with your floormates, and getting involved in student organizations. You will get the hang of things eventually. Good luck in the upcoming semester!